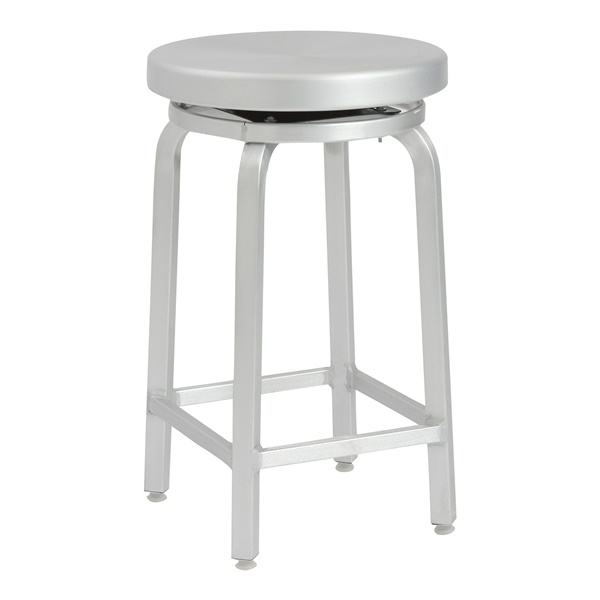 Convenient and chic, you can’t go wrong with the Miller-C Swivel Counter Stool. This modern stool offers a great look and a versatile seating solution. It features a solid aluminum seat and frame and conveniently swivels. It is versatile enough to be used practically anywhere and suitable for both indoor and outdoor use.